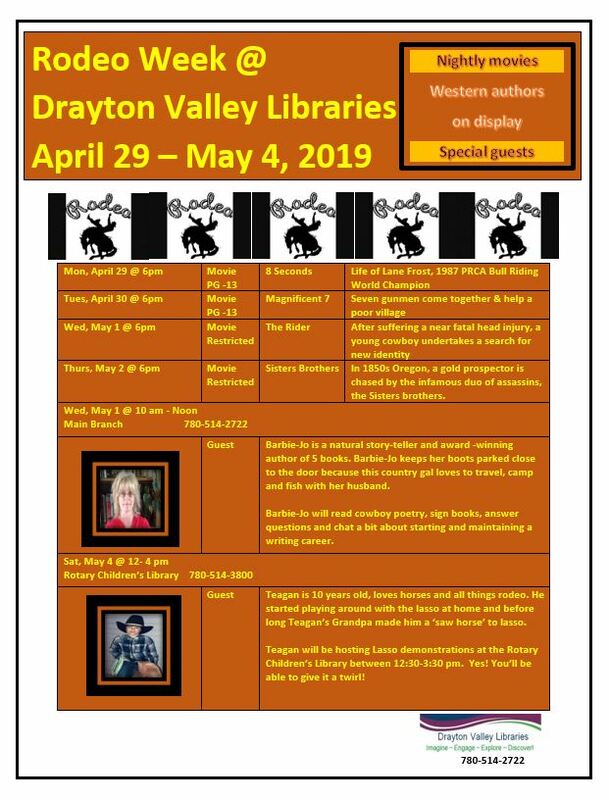 Celebrate Drayton Valley Pro Rodeo at your local libraries! 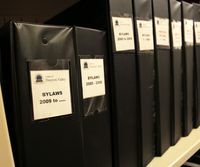 April 29: Western Film @ 6 pm: 8 Seconds, April 30: Western Film @ 6 pm: Magnificent 7, May 1: Cowboy Poet Barbie-Jo Smith from Calgary @ 10 am to Noon & Western Film @ 6 pm: The Rider, May 2: Western Film @ 6 pm: The Sisters Brothers and, on May 4 @ Rotary Children’s Library Noon to 4 pm Lasso Demonstrations with Teagan Howes. Call 780-514-2722. See attached poster.